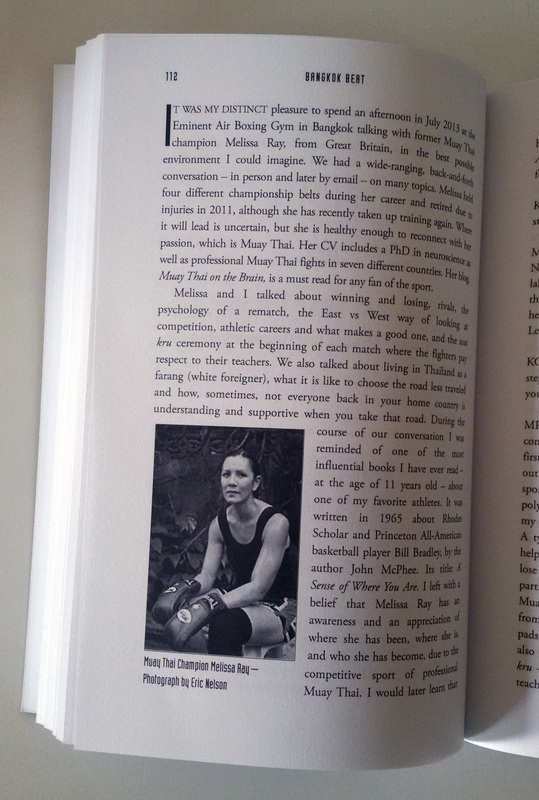 It’s not every day the average person gets featured in a book so I was pretty chuffed to have been included in Kevin Cummings’ Bangkok Beat—a collection of stories, interviews, literature reviews, poems, and author profiles, much of which centres around the famous Check Inn 99 entertainment venue on Sukhumvit Road. The book includes contributions from James A. Newman, Thom H. Locke, John Gartland, and Alasdair McLeod; black and white photographs by Eric Nelson, Alasdair McLeod, and Jonathan van Smit; and artwork by Colin Cotterill and Chris Coles; and was recently released on Amazon as a paperback and will be available as an ebook in August. 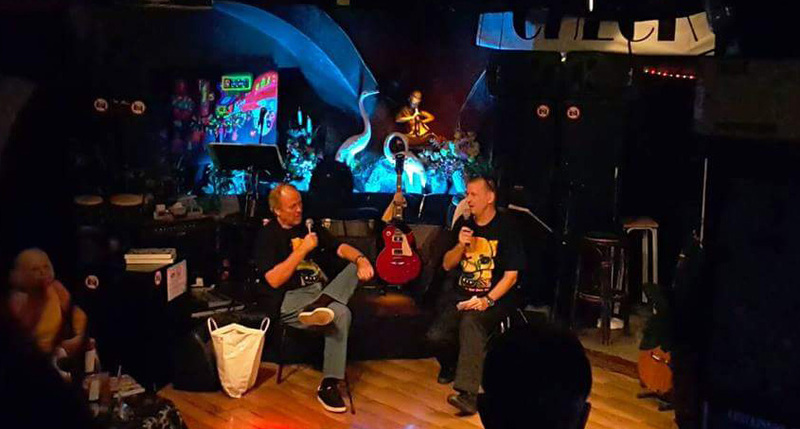 Kevin Cummings and Chris Catto-Smith at the launch of Bangkok Beat, Check Inn 99. I actually appear in two chapters of the book. The first consists of an interview, conducted by Kevin at my gym for the past 7+ years, Eminent Air Boxing Gym. The interview is headed by Theodore Roosevelt’s famous quote on those who “dare mighty things” and includes one of my favourite ever photos of me, captured by Eric Nelson at the gym. The second chapter in which I am mentioned is an account of Kevin’s second visit to Eminent Air, during which he was introduced to some of the other boxers, including charismatic Australian Victor Nagbe. From “A Sense of Where You Are”—one of the two chapters in which I appear in Bangkok Beat. On Sunday night, the official launch of Bangkok Beat was held at Check Inn 99, with many of the book’s subjects and contributors among the special guests. It was my first visit to Check Inn 99 and, having much enjoyed Kevin’s chapter on the history of the venue, I was glad to experience the place first hand. The night included an introduction by Kevin and Check Inn 99 owner Chris Catto-Smith; readings by John Gartland, James A. Newman, and John Marengo; and musical performances by Kevin Wood and Philippine band MOTH. I even had a moment under the spotlight as I was presented with an award for all-time hits for an interview subject on Kevin’s website, Thailand Footprint. 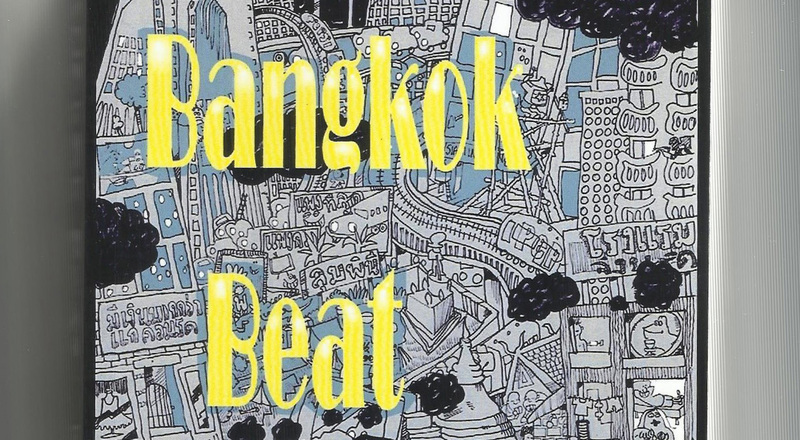 My prize was a wonderful keepsake of the original artwork featured on the cover of Bangkok Beat, created by Colin Cotterill, and signed by Kevin on the reverse. 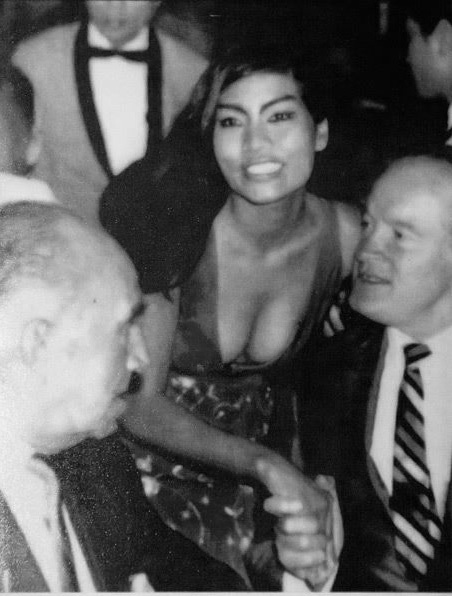 Iconic image of Mama Noi, one of the longest serving staff at Check Inn 99, meeting Bob Hope in the late 1960s. Read more on the history of Check Inn 99 in chapter “The CheckInn99 Story”. So why buy Bangkok Beat? It’s a collection of pieces that you can dip into for reading satisfaction, covering an intriguing range of subjects—from Muay Thai fights to mamasans, musicians to murders, literary works to ladyboy bars…. The book also uncovers the colourful history of one of Bangkok’s longest established nightlife venues, highlighting the character of the city of Angels and some of its Thai and expat residents. Order your copy now on Amazon or through Kevin’s online store. I hope you can open this link. It’s for a photo of her as she is now, being presented with a copy of Bangkok Beat by Kevin, captured by Eric Nelson. Still beautiful!